The Internet is full of blog posts, images, videos supporting the theory that we should all be sitting up straight to reduce the risk of lower back pain. Modern research, on the other hand, suggests no specific static sitting posture can prevent or reduce back pain. Where does the truth lie? Does a “perfect sitting posture” exist? And is slouching really that bad for your lower back? We must keep in mind that posture is not everything: several factors were proved to correlate with the perception of lower back pain, such as level and frequency of exercise, job satisfaction, educational level, stress, and smoking. A correlation between poor posture and pain exists, but we still cannot be sure this is a causal relationship. Is Slouching Bad for your Back? With the current body of evidence, we cannot have a definitive answer to this question. Times change, new theories are formulated and researched every day and from the past years’ dramatic headlines such as “slouching is going to kill you” we came to today’s arguably most accepted conclusion that “a bad sitting posture does not exist“. Some individuals report more pain from sitting up straight, others from slouching, but there’s no significant scientific evidence to support the fact that a certain posture can lead to back pain, or prevent it. In fact, forcing yourself to adhere to the traditional “good posture” (sitting upright at all times) may be wreaking havoc on your body. Something that is generally accepted by most researchers is the fact that posture can have an impact on your mood and level of stress. Some modern studies show that, compared to sitting in a slumped position, sitting upright can make you feel more proud of a success, increase your persistence at an unsolvable task, and make you feel more confident in your thoughts, coming to the conclusion that upright sitting postures could help treat depression, positively affect the mood and boost productivity. If on one side sitting posture cannot be proven to be directly connected with back pain, on the other hand, it appears clear that slouching can add unnecessary strain to muscles and put stress on the spine, constricting blood vessels and nerves. Even if we cannot say for sure if slouching can cause or is even correlated with chronic back pain, sitting in a comfortable, naturally aligned position doesn’t cost any money, can make you feel better, and will reduce any potential risks for your health. There’s one thing that every single practitioner will agree can help reduce the risks and symptoms of back pain: moving and exercising your body. The ability to vary your sitting posture and the habit of taking short stretching/standing/walking breaks, rather than maintaining the same static posture for long periods of time, are fundamental for preventing and reducing back pain. 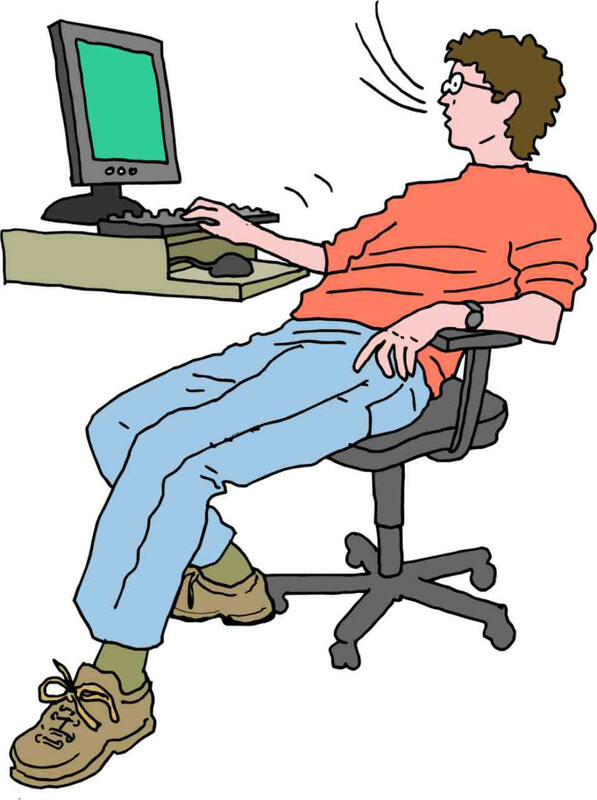 A static sitting posture maintained for hours for most days of the week can lead to a number of complications. Studies have linked excessive sitting with various types of physical pain, being overweight and obese, type 2 diabetes, some types of cancer, and even early death. Ideally, everyone should break up long periods of sitting time with short bouts of activity for just one to two minutes. Scientific research still cannot confirm nor deny the existence of a link between bad posture and back pain, but it is still advisable to maintain a comfortable, natural upright sitting posture and avoid slouching for long periods of time. At the same time is good to be aware that when it comes to back pain, exercise and movement are more important than posture. Take short breaks when you are sitting for longer than an hour: do some gentle stretching, stand up when having your afternoon coffee and go outside for a short walk whenever you have the chance to. Your spine will appreciate. Tagged back pain, exercise, posture.